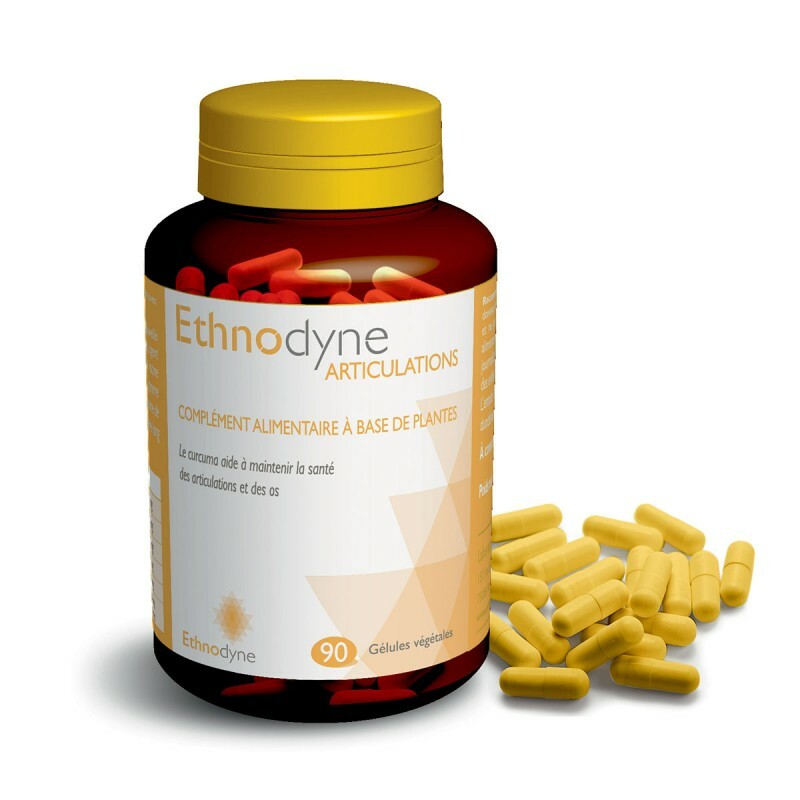 Ethnodyne JOINTS is a nutritional supplement developed in France by Ethnodyne Laboratory. It reinforces bone mass and cartilage to improve joint flexibility and mobility. Ethnodyne Laboratory has created a new nutritional supplement, ETHNODYNE JOINTS, which reinforces bone mass and cartilage. It contains a beneficial combination of plant extracts, including Harpagophytum, Boswellia and turmeric, which work in synergy to improve joint function. ETHNODYNE JOINTS is manufactured in France in accordance with the regulations governing nutritional supplements. Curcuma Longa, Boswellia Serrata, and Harpagophytum Procumbens. It also contains Piper Longum powder for improved curcumin bioavailability. Directions for use 2 capsules per day with breakfast, to be taken with a small glass of water or fruit juice. 1 to 3 months to be repeated several times per year as advised by your doctor. Precautions for use Nutritional supplements should not be used as a substitute for a varied diet: they should be used as part of a healthy lifestyle and varied, balanced diet. Store in a cool, dry place, protected from light. Keep out of the reach of young children. Should not be used by pregnant or breastfeeding women. Should not be used in case of stomach or duodenal ulcers or in case of kidney stones. Should not be used if anticoagulants are being taken. My optician prescribed me a course of 3 boxes of Ethnodyne Visio due to eyesight problems while awaiting further tests. I have to say that I see better since taking this product; shame it costs €98 and is not reimbursable.